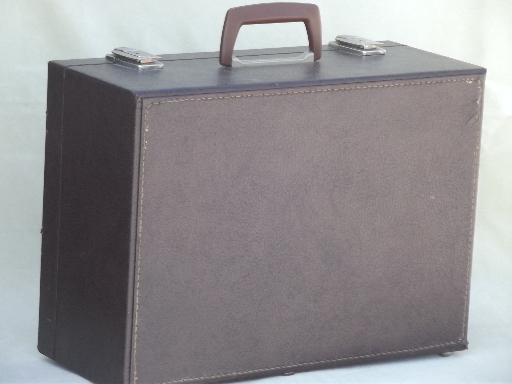 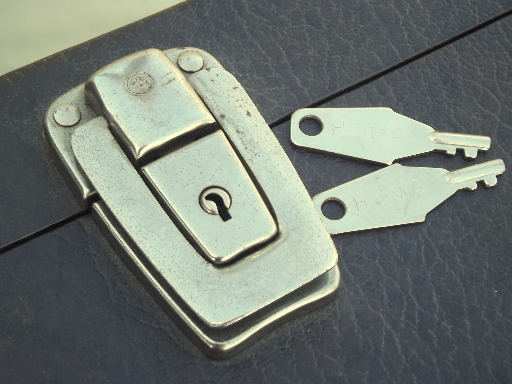 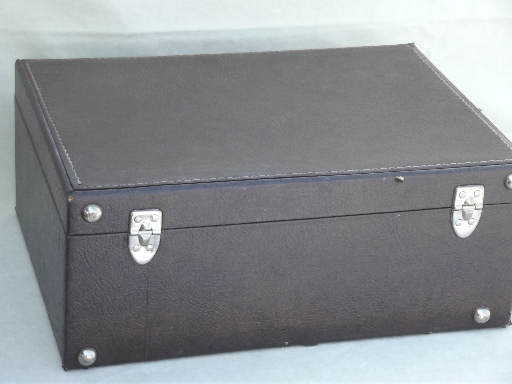 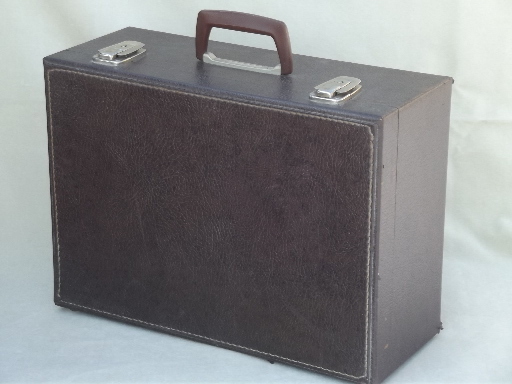 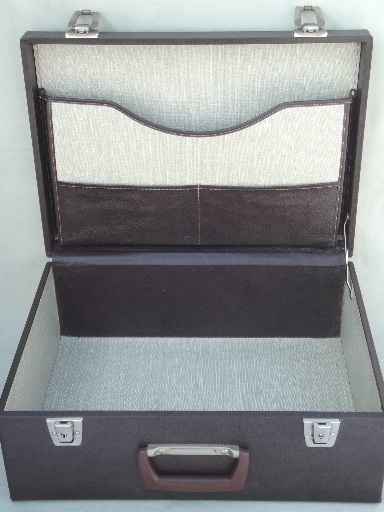 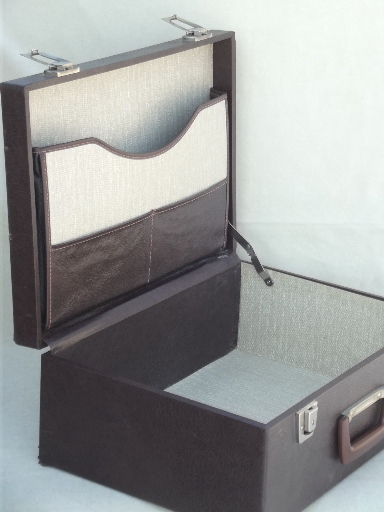 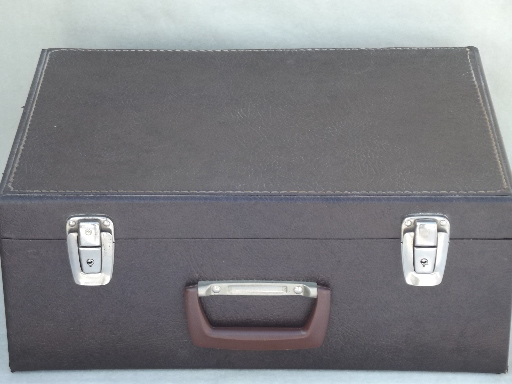 Vintage hardsided briefcase or traveling salesman&apos;s case, locking with included keys. 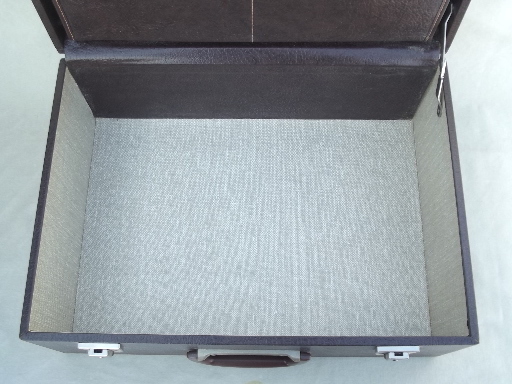 It&apos;s 17 1/2" x 13" x 7" overall. 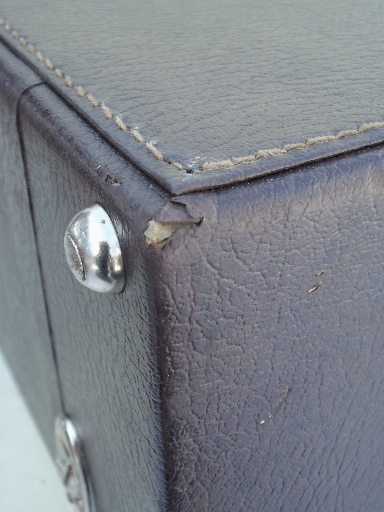 This has been used, and showing some light scuffing to the leatherette, and a olf tape at the top (under the handle) with the name of a former owner.